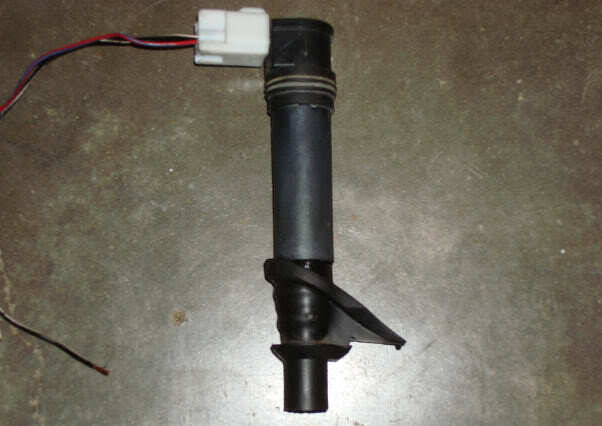 This is my version of the Coil on spark plug MOD.. It's not new, it's not leading edge, it's not needed if your OEM coils, wires, spark plug cap are in serviceable condition. BUT if you need to replace any of the OEM parts, or just have a desire to do a useful easy mod.... Then the CBR coil on plug MOD might be for you. My donor parts were from 2006 CBR1000. I purchased a set of coils and the wiring harness on eBay for under $60 delivered to my door. 30 minutes of stripping tape and OEM harness cover and I ended up with four separate plugs and wire pigtails. I cut the plug from the OEM coil and attached it to the new harness plug. Connections are soldiered, heat shrink tube and liquid electrical tape used to seal connections. and fit the VTR section of rubber plug to the CBR coil on plug. Put everything else back together, and go test ride. Last edited by E.Marquez; 10-01-2014 at 03:45 AM. thanks for that, I may have to mod mine with the OEM rubber seal also. I figured why not. I had already cut the plug from the OEM coils, I knew that if this coil on cap setup failed, I was not going back to OEM coils,,, and I found the stock plug cap rubber outer cover was not glued or otherwise molded to the body of the cap. 2 sec with a razor, off it came. You do have to trim it though to fit. 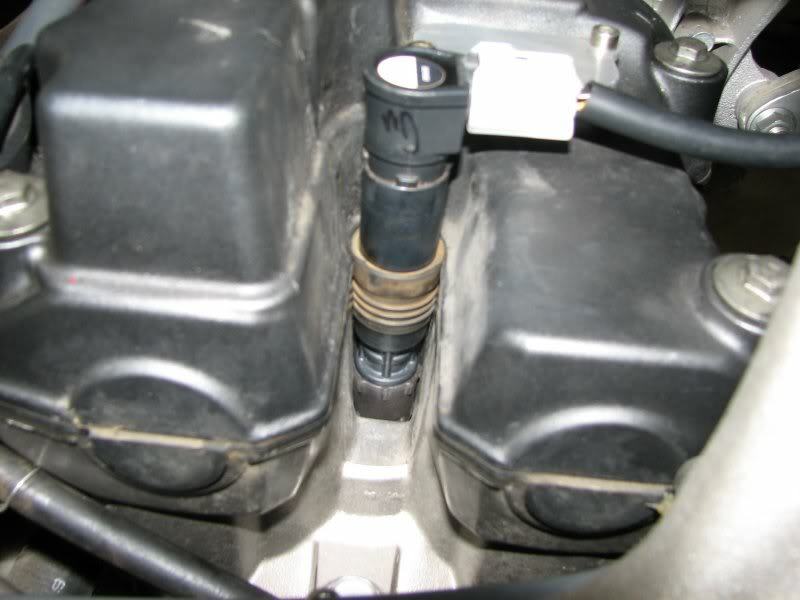 Over all length from spark plug connection to the end of the rubber cap is too long with the OEM seal installed on the CBR coil cap. Trim the top of the seal as close as possible on top, install on the CBR coil. You can measure the difference of seating depth between an OEM cap and the CBR cap with an old plug or small dowel, rod 1/4 drive extension, etc.. You'll see the difference being about 5mm. Trim that off the seal installed on the CBR cap. You will also notice the CBR cap is larger in diameter. The scavenged seal withs no problem,, BUT then the new installed diameter of the seal is a bit too much for the recess in the head. 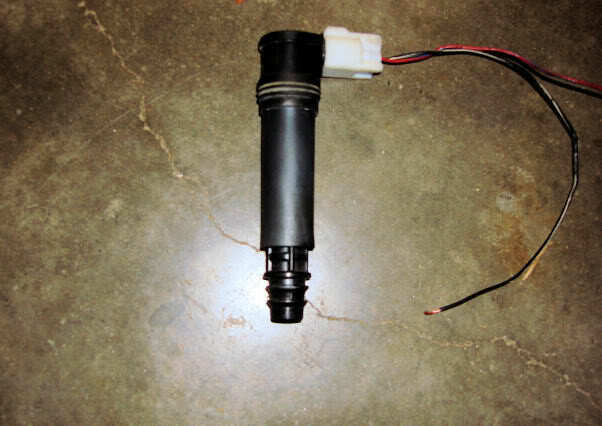 So trim 2-3 mm around the circumference and it will now fit in the spark plug recess just like OEM. I always spray the outside of a spark plug boot / seal with silicone spray to both keep it from sticking at next removal, and to help repel water. In this case it also makes sure the seal/cap fit in the recess easy. I went about using the OEM seal on the stick coil a little differently. Rather than trim the seal, I ground the end of the coil until all of the ridges, etc. were gone and I had a nice round end for the seal. 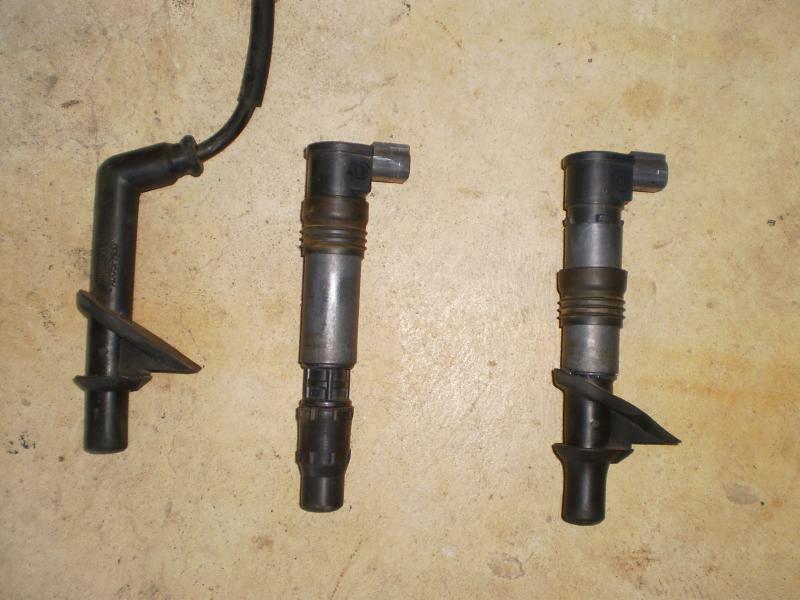 Same result, the spark plug well is sealed from whatever. I first thought of trimming the coil in my lathe, but the connector wouldn't allow the coil to run centered.....I guess that's my excuse for getting a larger lathe. During preliminary fit up I noticed that the coil, even with the OEM seal in place, would wobble a bit. 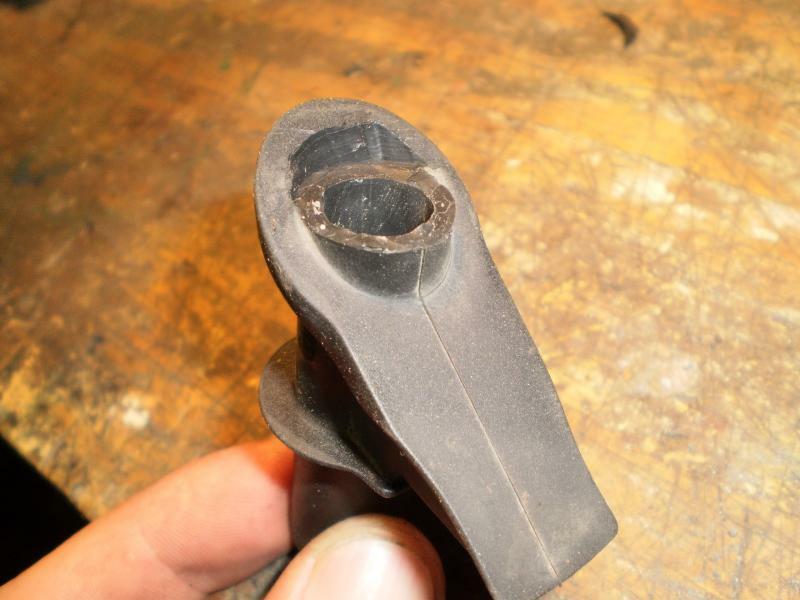 By sliding the upper seal of the stick coil down the body of the coil 35mm (1.375" if you're metrically challenged), the seal nestles into the joint of the cam cover and the cylinder head, eliminating any wobble. I chose not to grind the coil (or chuck it up in the lathe) because I was not sure how fragile the body or electrics were. As you had no issue I guess I could have. Having a set of 4 and only needing 2, I figured I was prepared for an "Oh,****!" moment! do the wires have a certain polarity? Yes black with white trace is the ground, and common to both coils. The other wire (colored not black) is the hot one..
Just finished my 600rr Coil Mod. Fired right up and runs great. Here are pics of my OEM seal fitment. WOW This is a nice mod. As far as wiring is concerned, what color wires from the VTR harness connect to what color wires in the CBR coils? Also, to be straight, we are eliminating this: RED, and using this: GREEN, on each cylinder. Sorry for being dumb, I just want to make sure I have this right. Also, I want to use 600rr sticks, does it matter which years? 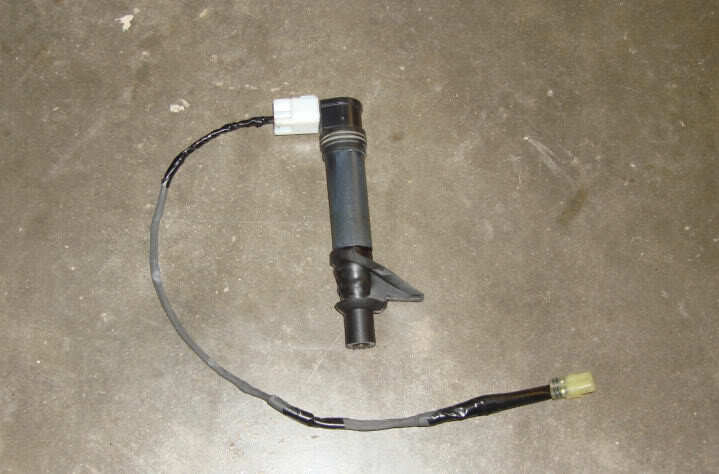 Everything you circled can be tossed (as well as the plug that it plugs into on your stock harness). 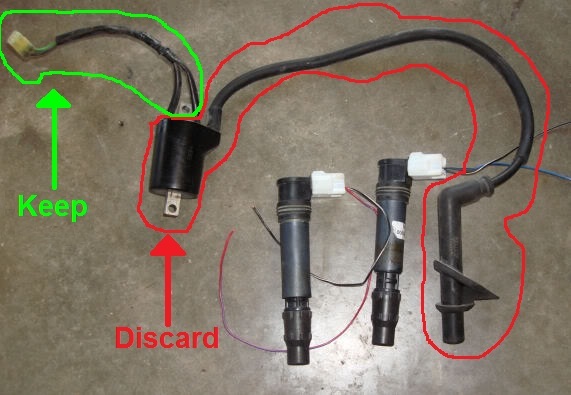 The wires coming from the plugs on your coils should just splice into the wires on your VTR harnass. 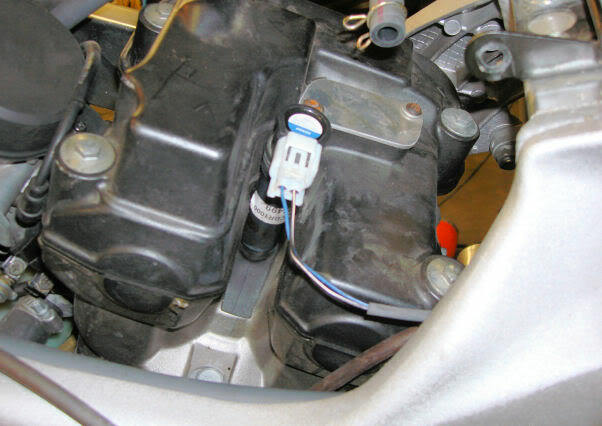 In essence, you're replacing everything behind the plug on your VTR with the plug that goes directly into the coil. Year doesn't matter as long as you can fit it onto your plugs when they're installed. I also don't think that the wires matter. It's just completing a circuit so order wont effect anything. You probably have a green to a green for ground, though, so do that if it's there. Easier than you thought, eh? Edit: FWIW I just checked wiring, and green is ground on the VTR so find a diagram for a 600rr and match the grounds up. Good chance it's the black/white wires judging by your picture. Last edited by 7moore7; 01-30-2012 at 08:01 PM. black with white trace is the ground, and common to both coils. The other wire (colored not black) is the hot one. Hi guys, I am from the german VTR forum, where one of our members linked this thread here. I am happy to say that this coil on cap mode works perfectly, I have just built it how it is described here. So are you guys who have done this seeing a performance increase or just doing it to replace a faulty factory coil set up/simplify the system? Welcome, happy to see the write up put to good use. 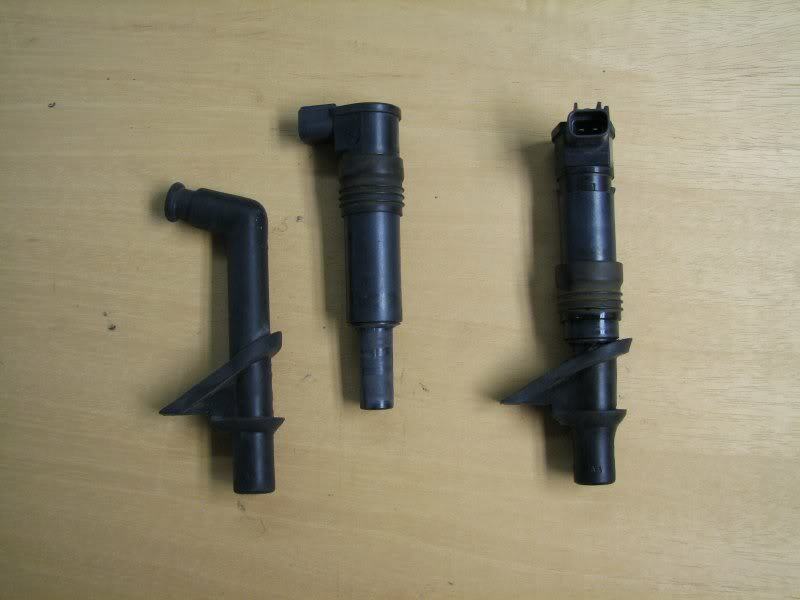 Not a performance upgrade, you can see increased performance only if your replacing a faulty OEM ignition. 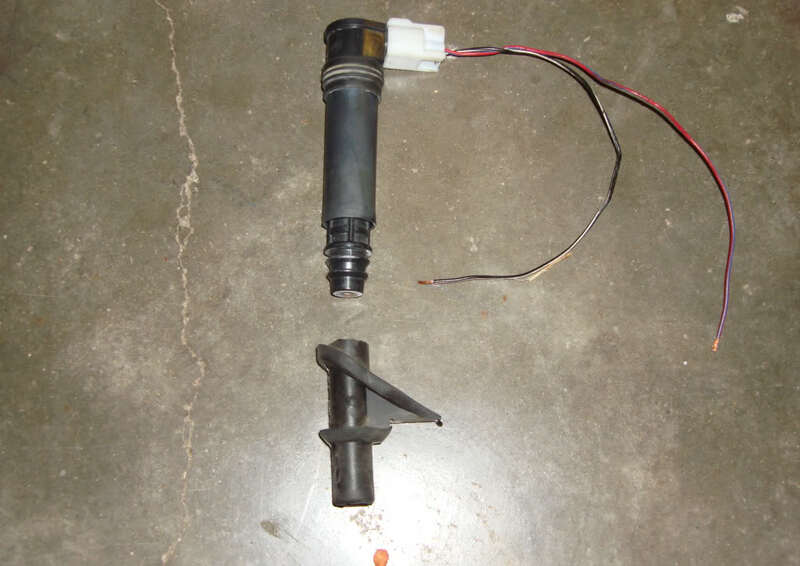 What it does is clean up the area somewhat, trims some weight off, updates the ignition coil system to something current. what is the minimum resistance i could use on this mod? and will cbr denso coil plugs work on these gsxr coils? Last edited by E.Marquez; 10-01-2014 at 03:46 AM. sorry,I meant it to say it is the coil on cap mod. the gsxr coil on cap is the same as cbr600rr,just different resistance. Ahh, got ya, no clue, and unless building something wild,, I doubt it makes a difference. ok,was wondering,the cbr600rr COP'S is I beleive is 1.5 and a bit higher,I think i may try it and see how it goes,i got extra shawk coils so wont hurt. 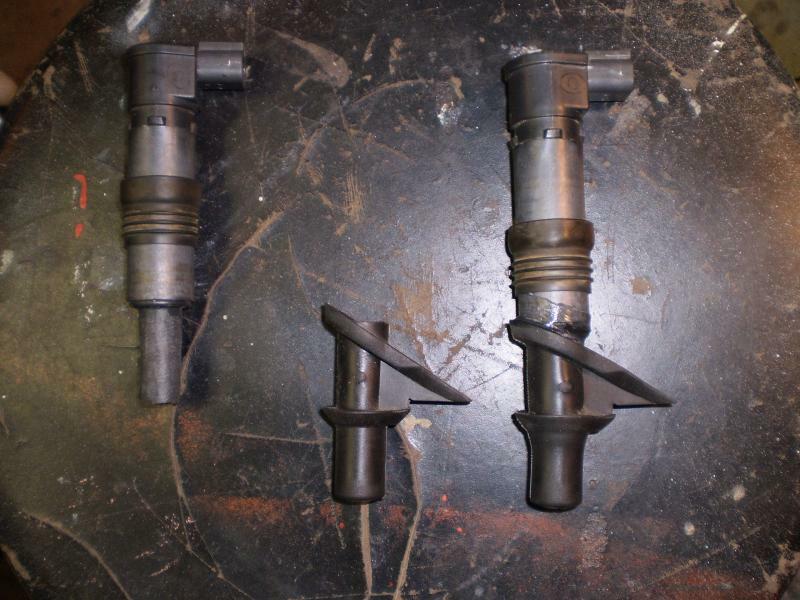 now i just gotta get the cbr denso plugs,seeing that it seems that you cant get them from a gsxr,i think its all in the same loom. well,i finally got to do the coil mod,and i got to say,so far,a very good result.did everything in the instructions,easy,straight forward. I matched the wires,soddered them,taped them,used heat shrink and used the original rubber sheild off the old coil wires.very clean look. it is the exact same as a cbr COP,only difference is the COP is shorter on the gsxr. i have been using so far with good results,so now there is more options and cost to do this setup. now hopefully i could get some riding in to see if there is a difference in gas mileage. I have a couple late breaking questions about this mod. Can I use cbr600 parts? Also, did you solder right to the pins/posts on the coils? I would want to get the cbr harness also to use watertight factory plugs. So yeah, does the cbr600 create the same or enuff spark ? Yes Im using 07 CBR600rr coils. Works well. Yes you need the harness. ive got an amazing deal on these so 15 dollars to the first one who wants them ? only shipping might be a pain maybe someone has something to trade ? I know I missed this post and Joe is long done with this mod,,, but for others..
NO, I did not solder wires to the coil pins, nor do most others far as I know.